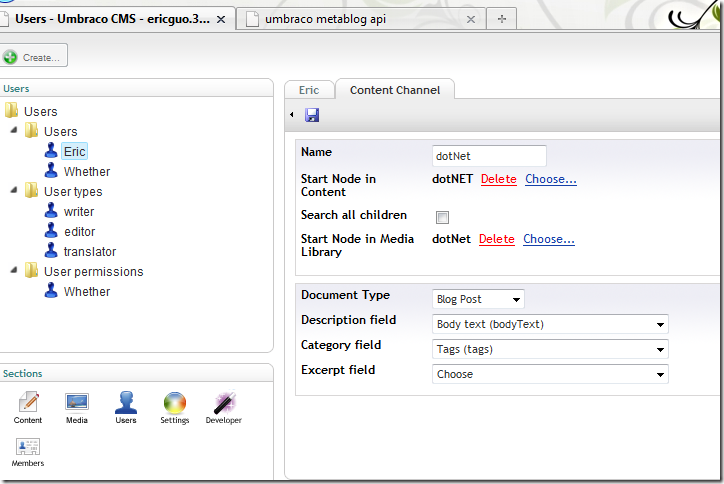 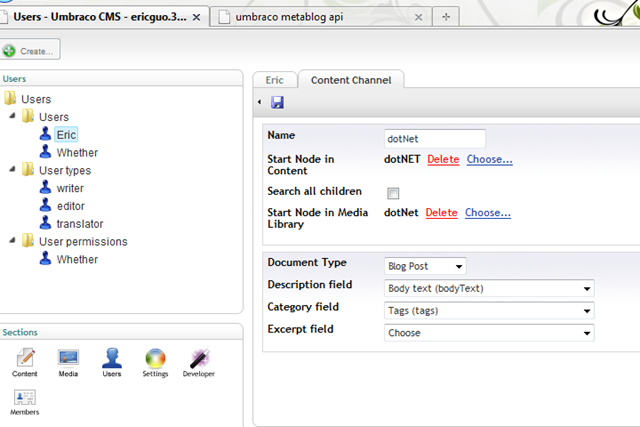 Then you can start fill homepage with http://ericguo.3322.org/dotnet.aspx and user name and password, select Metaweblog API and fill http://ericguo.3322.org/umbraco/channels.aspx as meta blog api URL in Windows Live Writer Tools->Accounts now. 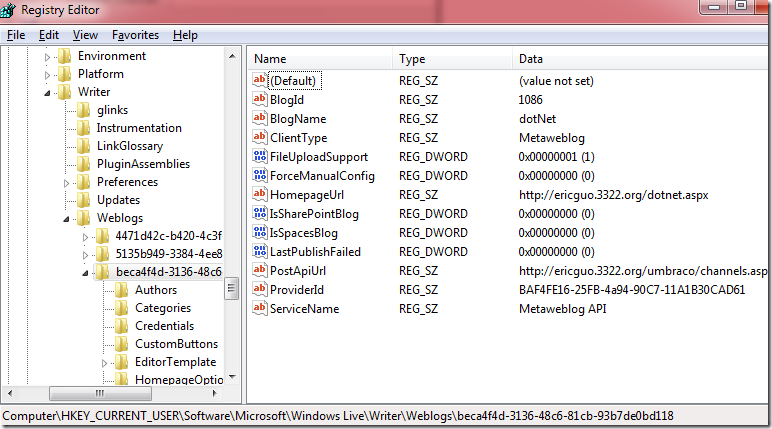 Click finish button, you may find duplicate hostname in HomepageURL which lead to get theme failed, you can fix it by run regedit & goto HKEY_CURRENT_USER\Software\Microsoft\Windows Live\Writer\Weblogs, find the right name, in this case "dotNet" and correct the wrong HomepageUrl (usually duplicate in hostname). 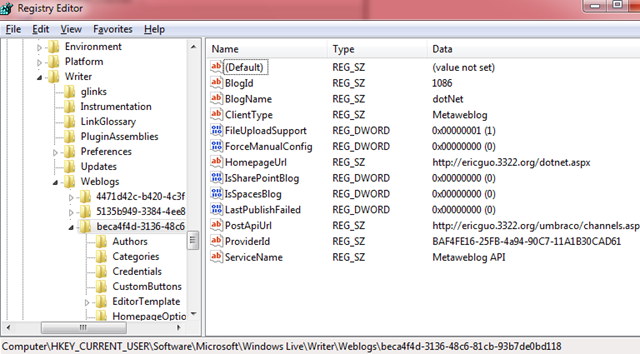 Goto Live Writer again and in Tools->Account->Editing->Refresh Theme, now that will get correct theme from site now.